Today we were meant to have a sightseeing tour on Home Island, however due to bad weather and heavy winds the tour was cancelled. 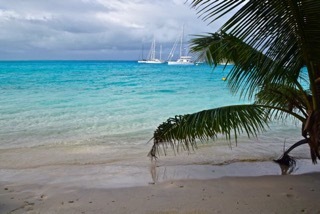 Although it was raining we decided to make our own tour on Direction Island where we were anchored. 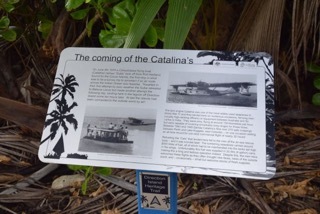 We found many interesting and historical information around the island. Direction island is the little to the left of the bigger one at the top left of the picture (the left one). Off course being bad weather the colours were not that luminous as yesterday, however still nice to explore and discover this remote island. 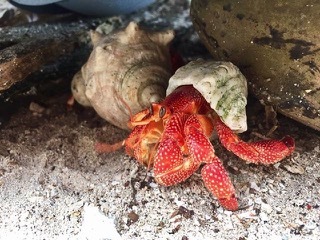 Everywhere on the island we found hermit crabs. 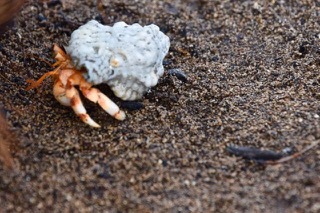 They are seen dragging around the empty mollusc shell that they use as shelter. They have large soft abdomens - which is why they need the portable “homes” they frequent? 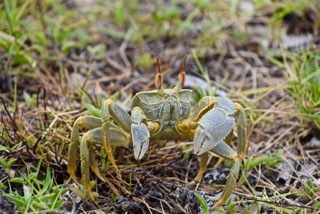 This curious green crab felt like a very exquisite crab type. 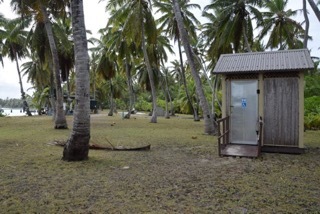 Cocos Keeling Island revealed to have a very interesting and exciting history considering the Deep Sea Cable Car as well as the impact of the Second World War on this tiny archipelago laying strategically right in the middle of the Indian Ocean. Joining hands in the gloom a league from the last of the sun. Rudyard Kipling’s poem “The Deap-sea Cables” was first published in 1893, well before Direction Island “joined hands in the gloom” to link with the rest of the world. Yet he so brilliantly captures the essence of what was then remarkable and life-chafing technology: the cables “killed father Time” and linked the world as never before. Well may he have suggested that the word whispered along the “shell burred cables” was “Let us be one!”. 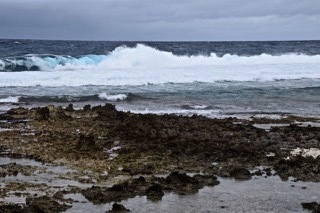 In 1836 Charles Darwin thought that the Cocos atoll was the tip of a near-vertical sea mount, and it was only when in 1900 the survey ship, Sherrard Osborne, proved this was not the case that the cable-laying became a realistic prospect. The slopes were steep - but not that steep - and so the Eastern Extension Telegraph Company committed the immense undertaking that was to put Direction Island very clearly on the communications map of the world. Three cable-laying ships began work simultaneously - one linked Cocos to Rodriguez Island (belonging to Mauritius) and thence to Africa; another laid the the Batavia / Java cable (which linked onward to Britain), while the third, the Scotia, connected this island to Cottesloe in Western-Australia. In October 1901, the cable station was opened here - and “men began to talk over the waste of the ultimate slime”. The rest, as they say, is history! 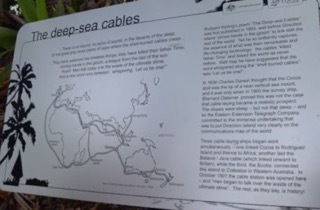 It is quite hard to believe what they did in those days: laying thousands of kilometres of cable deep on the bottom of the sea to connect the world. 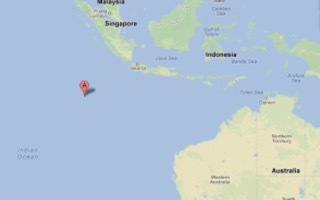 And Cocos Keeling having a very important strategic position in the Indian Ocean linking Australia, Asia and Africa. Given the importance of the communications passing through the cable station, staff here must have felt very vulnerable as World War II broke out and the Japanese stormed south through Asia. Yet the first attack did not come until February 1942, and then it was only shelling from an unseen vessel, presumed to be a submarine. Little damage was caused and there were no casualties. A month later the cable station was again shelled resulting in the death of a Chinese carpenter. By now a large decoy fires had been set, and they were lit as part of an amazing of deception. 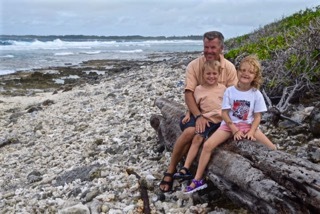 Bomb holes were painted on the roofs and messages were sent in plain English to the station in Java, ordering them to disconnect the line to Direction Island as the base there had bee “permanently knocked out”. 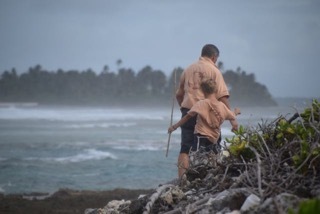 The next day the Japanese broadcast triumphantly “We have split Cocos Islands in two and destroyed all cable and wireless communicationI” - a message that was listened to with glee by the cable station staff! 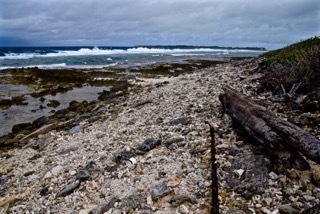 Then in August 1944 a Japanase bomber appeared, circled the atoll and dropped a number of bombs on Home Island before machine-gunning all three inhabited Islands (Home, Direction and West Island). Four people died and 27 native houses were destroyed or badly damaged. 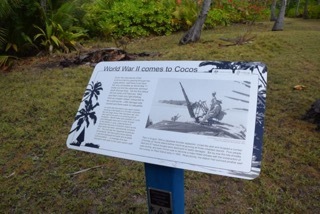 By now the tide of battle was turning and soon Cocos was to become a major Allied airbase with the construction of the runway on West Island early in 1945. Miraculously, the station had survived another war! On 4th of June 1939 a Consolidated flying boat (Catalina) named “Guba” took of from Port Hedland bound for the Cocos Islands, the first stop in what was to be a survey trip to ascertain if an air route across the Indian Ocean was feasible. Thwarted in their first attempt by poor weather the Guba retreated to Batavia (Java) but made another attempt the following day, landing here in the lagoon off Direction Island some ten hours later. 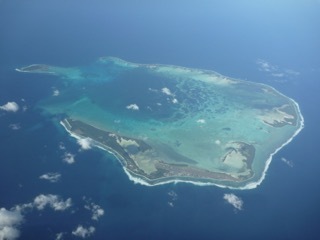 At last the islands had been connected to the outside of the world by air! The twin engine Catalina was one the most widely used seaplanes in World War II and they landed here on numerous occasions, ferrying men (usually high-ranking officers) or equipment between Australia and Sri Lanka or India They were slow, flying at around 150 kilometres per hour, but were capable of covering remarkably long ranges for those times. Between 1943 and 1945 Qantas Catalina’s flew over 270 safe crossings between Perth and Lake Koggala, near Colombo - on one occasion setting an all-time record for non-stop commercial flight of nearly 32 hours! Refuelling the “Cats” that landed here fell to the men of the air-sea rescue base - and it was a brutal task! The lumbering seaplanes carried about 8000 litres of fuel, all of which had to be manhandled into the tanks set high in the wings. Unfortunately, this fuel was supplied in 20 litres cans, making this a long and tedious operation indeed. Despite this, the men here welcomed these flights as they often brought new faces, news of the outside world and - occasionally - small but welcomed stocks of fresh supplies. 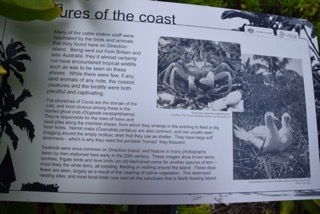 Many of the cable station staff were fascinated by the birds and animals that they found on Direction Island. Being sent out from Britain and later Australia, they had almost certainly not have encountered tropical wildlife such as was to be seen on these shores. While there were few, it any, land animals of any note, the coastal creatures and the birdlife were both plentiful and captivating. Seabird were once common on Direction Island and feature in many photographs taken by men stationed here early in the 20th century. These images show brown terms, boobies, frigate birds and love birds (an old-fashioned name for another species of term - most likely the white term), all roosting, feeding and nesting around the island. These days fewer are seen, largely as a result o the cleaning of native vegetation. 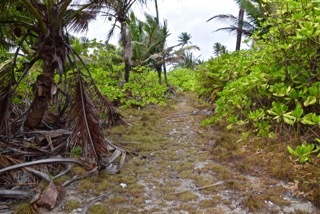 This destroyed nesting sites, and most local birds now nest on the sanctuary that is North Keeling Island. 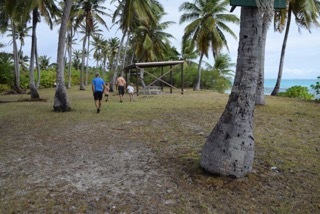 We walked to the other side of the island where the ocean is open “hitting" the island. 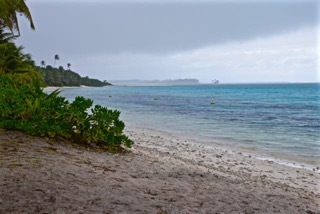 In order to avoid the really heavy rain we walked back to the sheltered part of the island.